From the Interpretive Buoy System: The water temperature has risen slightly (42 degrees) and the salinity (16.5 psu) has come down. Not surprising given the recent rainfall. The inundation of freshwater decreased the salinity by two points. I noticed that after the creek froze with the tide low, many oysters were pulled from the bottom by the ice. Once the ice melted, the oysters were dropped in place making it good nippering (catching one at a time) around the shoreline. 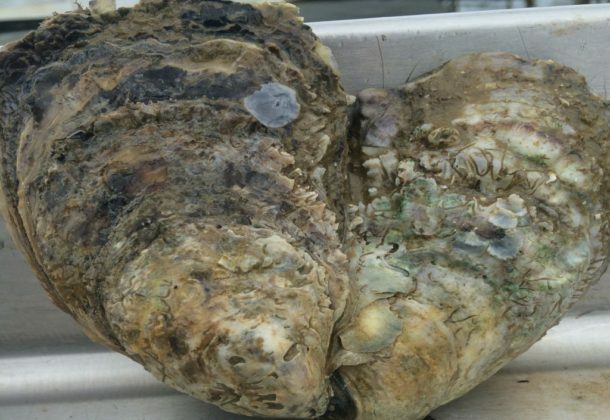 Oyster reefs will not be worked to death and the last oyster caught simply because the bottom gets “shelled up” as an oysterman works it. A waterman doesn’t work an oyster bed to death, he leaves it once the percentage of market-sized oysters in a lick dwindles. 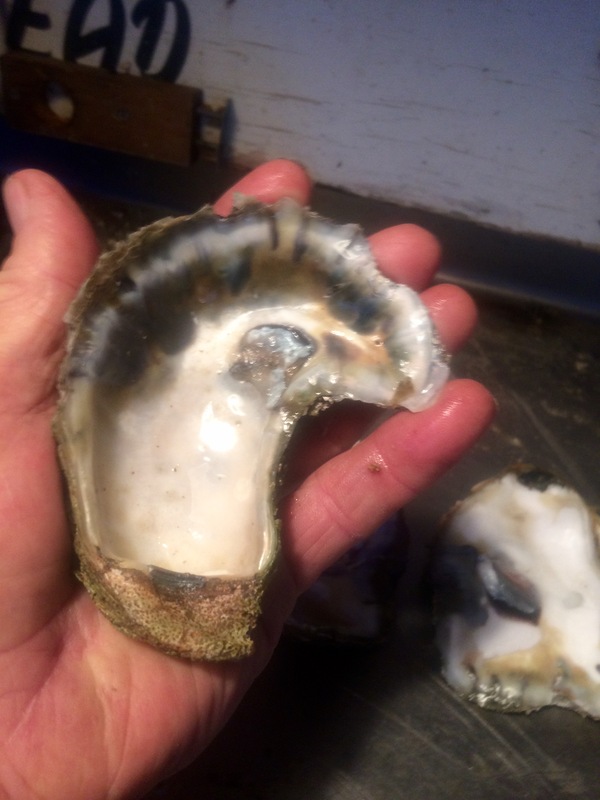 That’s just the process, you’ve got to leave it, because there will be too much stuff to handle, too many empty shells and fewer oysters as an oyster bar is worked. It’s not productive to stay there. “Working the bottom” is similar to cultivating a garden, a healthy process of lifting silt from the beds and opening the face of more cultch, that is, hard surface for oyster spat to set upon. A “shelled up” bottom will become more productive. Working the bottom widens oyster bars, makes them bigger, gives more area for baby oysters to attached to, and the bar will become more productive. Here is a short video of several ways oysters are harvested in the Chesapeake. Do you know how to shuck an oyster safely? It is comprised of a top and bottom shell with an adductor muscle that holds them together. The bottom shell resembles the saucer that you put your coffee cup in in the morning. It might even fit comfortably in the palm of your hand. The top shell is flatter and generally curves upward as the oyster grows toward sunlight. The top shell is also shorter than the bottom shell. As soon as you can tell the difference between the top and the bottom shell you have 50 percent of the battle won. Look at the top shell like a watch. 12 o’clock up at the narrow or hinge end (where the oyster starts its growth). 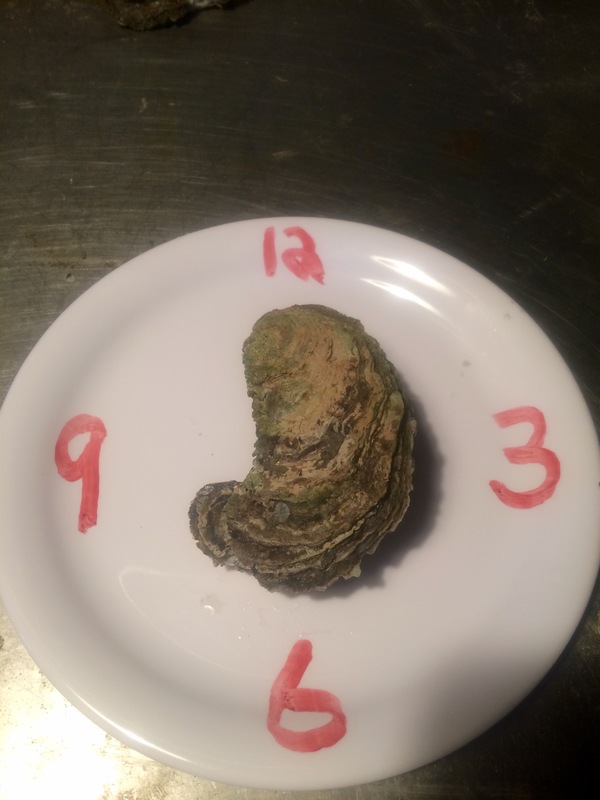 The wide part or mouth of the oyster is at 6 o’clock. That’s the vicinity at which we generally shuck an oyster. The adductor muscle is on the 9 o’clock side of center. 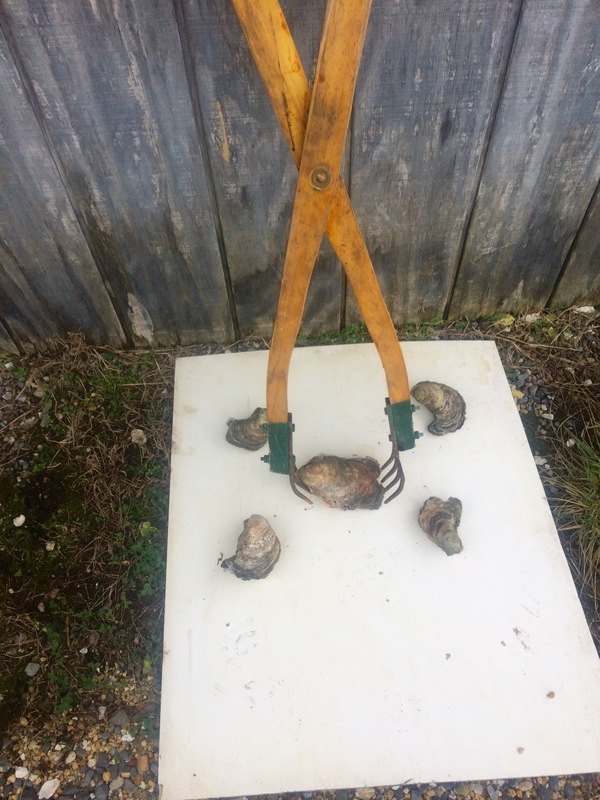 Use rubber gloves and put the oyster on a board as you never shuck them in your hand. That way, if the knife slips the blade will hit the block and not stick in your hand. Nestle the knife tip between 4 and 6 o’clock, splitting the shells there. Keep the knife point down and working with the contour of the interior of the bottom shell, work the knife to cut the adductor muscle located at the 9 o’clock side of center. At that point you will feel the oyster relax. You can “peek inside” and see what else you need to cut free from the shell. The object, after some practice, is to get only one oyster out, not several pieces. Practice does make perfect.